Mica colorants can be used in everything from scrubs to soap. 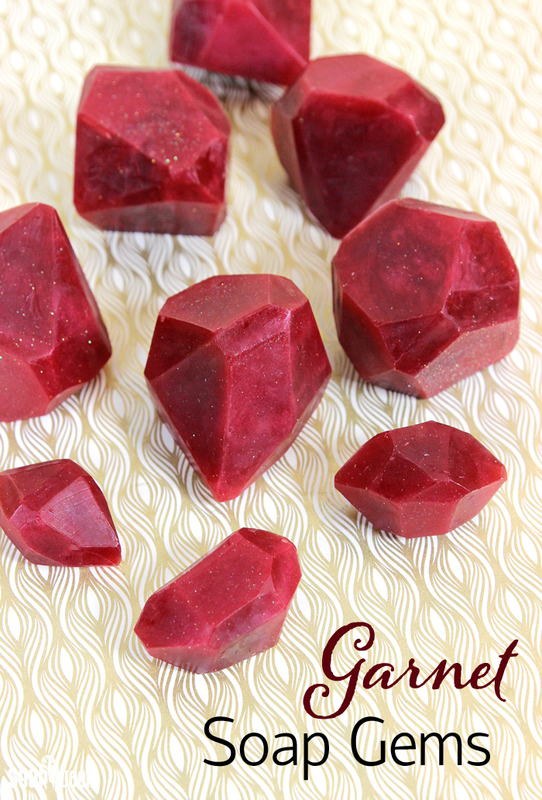 This week through Oct. 16th, the blog will have tutorials made with plenty of shimmery micas, like the Sparkly Garnet Soap Gems. The soap, inspired by the January birthstone, gets its sparkly red color from Merlot Sparkle Mica and Fine Iridescent Glitter. Once the soap is scented with Pomegranate and Black Currant Fragrance Oil and cooled, it is cut into fun gem shapes. 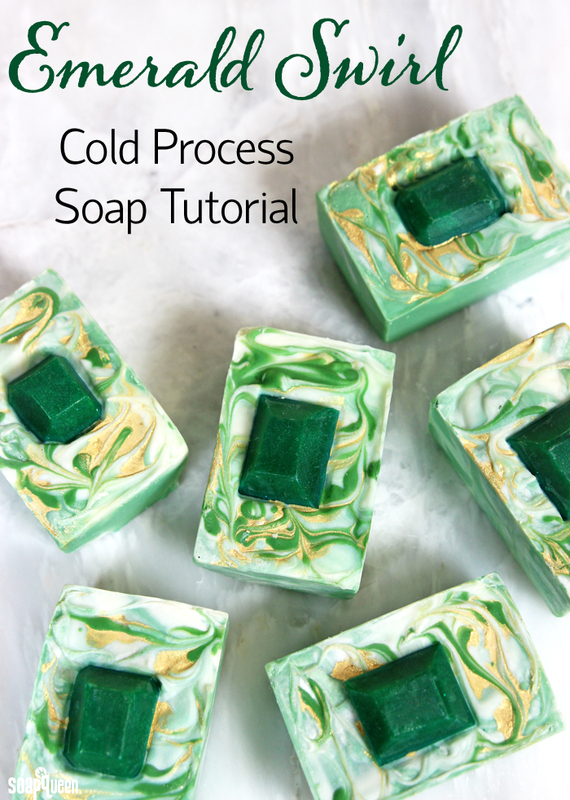 Melt and pour gems are also used in the Emerald Swirl Cold Process Soap Tutorial. The soap features a green and white in-the-pot swirl and is topped with King’s Gold Mica mica painting and dark green drops of soap. The gem is then placed in the center of each bar. All the details make the soap stand out. 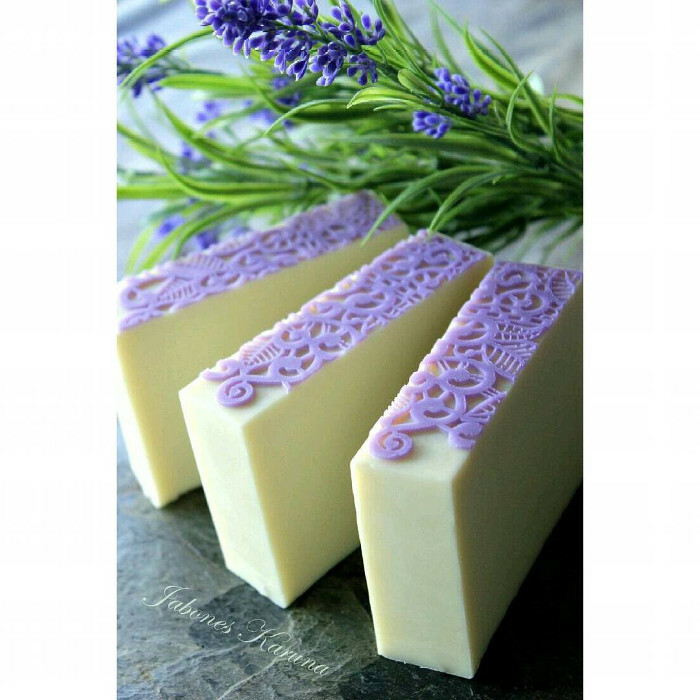 For a fresh and crisp scent, the soap is fragranced with Green Fig Fragrance Oil. 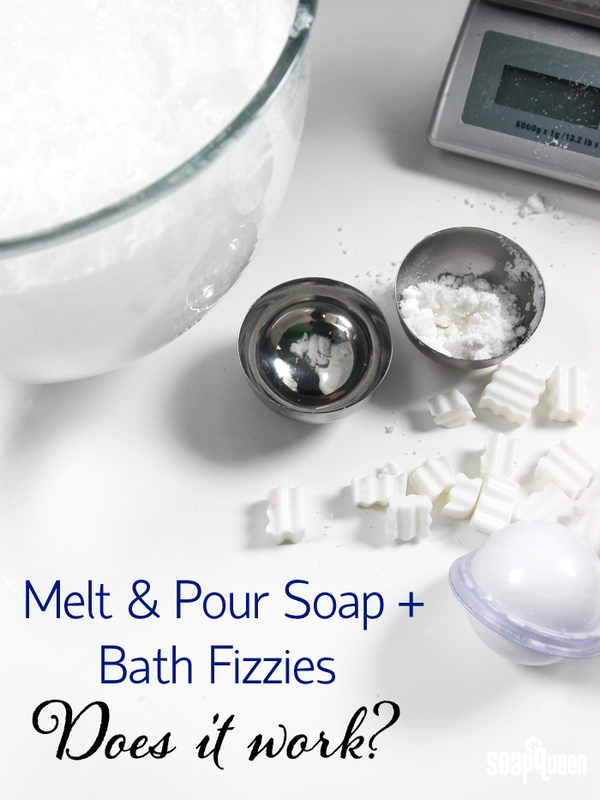 Melt and pour works great in cold process soap, but what about in bath bombs? CJ on Facebook recently asked if he could add melt and pour to bath bombs. We tested it out and shared the results in the Soap Box Questions post. The melt and pour is tricky to mold, as it expands as it cools. However, it makes amazing bubbles. It’s fun to see how it reacts in the water. S.O.A.P. Panel recently finished their latest round of testing. Each season, eight people are chosen for our Scent Opinion Awesome Panel (S.O.A.P.) to help pick which fragrance to add to the Bramble Berry line. The participants went above and beyond testing the fragrances and sharing their work! They shared videos and photos, and even offered great name suggestions. See their results in the Summer 2015 S.O.A.P. Panel Update post. It’s inspiring. Having the panelists test fragrances is helpful. While we always test the fragrances multiple times before we bring them into Bramble Berry, the panel’s results mimic real life uses over a variety of product scenarios. Whether you’re a student, a stay-at-home-Mom, a working Mommy or super commuting employee, time management is important. I tracked my time for a year to see where my energy was focused the most and to make sure I was spending time on the most valuable things. 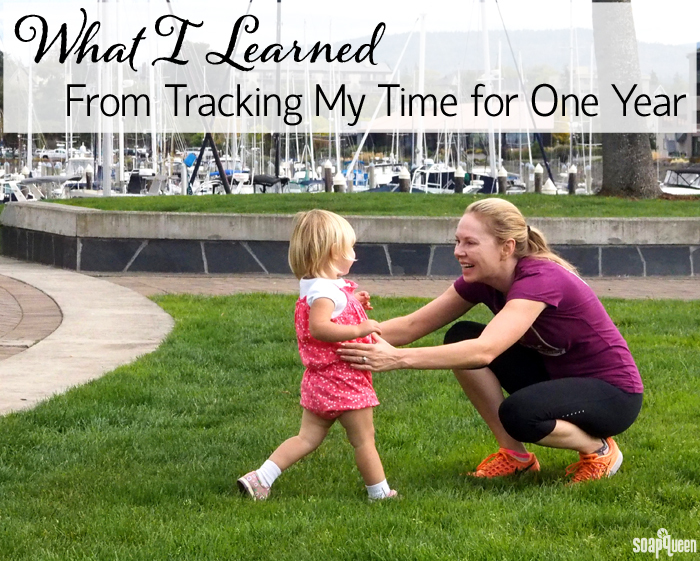 See the results and get time management tips in the What I Learned From Tracking My Time For One Year post. One of the things I love spending time on is looking at soap photos. 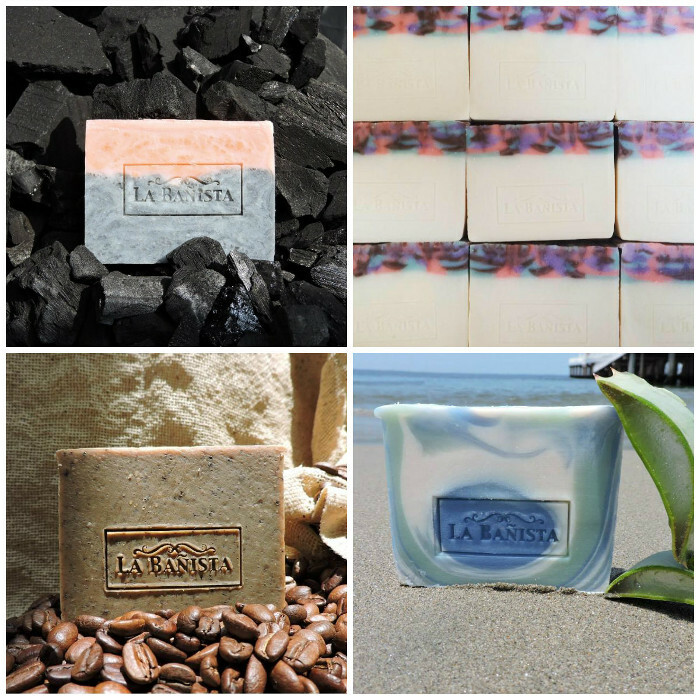 There are so many talented soap makers out there, like La Banista. Their gorgeous landscape soap is this week’s Facebook Photo of the Week. It’s colored with Fizzy Lemonade Colorant, Brick Red Colorant and Ultramarine Blue Pigment, and is scented with Heavenly Honeysuckle Fragrance Oil. 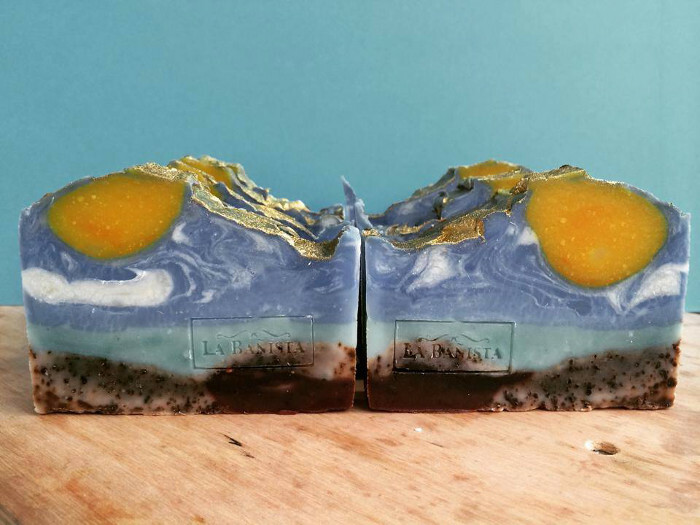 The layers in La Banista’s soap are stunning. The bottom layer has coffee grounds for texture and exfoliation. The clouds in the sky are beautiful as well. 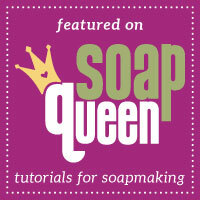 If you’d like to make a landscape soap, see how in the Stormy Seas Cold Process Tutorial. For a sunset-inspired landscape, check out the Sahara Sunset Cold Process Tutorial. Above (clockwise, top left) are La Banista’s layered soap, swirled and white soap, blue swirled soap and coffee soap. For more coffee inspiration, check out the Espresso Shot Cold Process Tutorial. Coffee is also the inspiration for the Pumpkin Spice Latte Sugar Scrub. This week’s Instagram Photo of the Week by Karuna Jabones is amazing as well. The purple lace detailing is really gorgeous, and pops against the white base. The lavender in the background of the photo is lovely too. See more of their gorgeous work on their Instagram page.